Granbury Carpet Cleaning is located right here in beautiful Granbury Texas. Our carpet cleaning service is second to none. We take great pride in giving our Granbury customers a discounted special price because you guys keep us close to home. Please note that the prices on this site are for Granbury and closely surrounding areas such as Glen Rose, Tolar, and Cresson. Wood Floor Cleaning Special! Call For Details. Granbury Carpet Cleaning is insured to handle all commercial carpet cleaning and flood restoration projects. We respond to any emergency flood call 24/7. 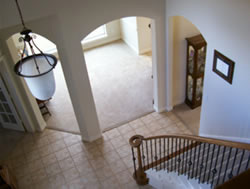 Granbury Carpet Cleaning specializes in carpet cleaning, tile and grout cleaning and much more. 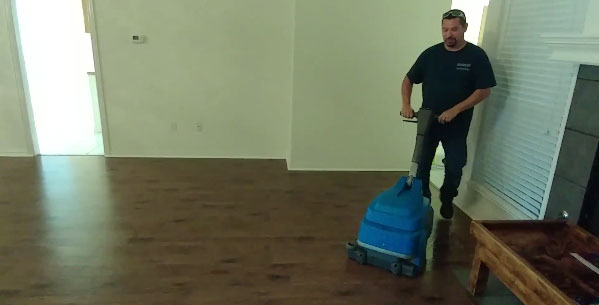 Check out our tile and grout cleaning video. The results are truly amazing! Carpet Cleaning: We only use the Steam Cleaning ( Hot Water Extraction ) method to get deep down clean using powerful truck mounted carpet cleaning equipment. Tile and Grout Cleaning: We use non toxic, no odor solutions and extremely powerful truck mounted steam cleaning systems to erase the filth from your tile and grout. Hard Surface Cleaning & Polishing: VCT Tile clean strip wax buff and polish. Natural stone grinding honing and polishing. Concrete cleaning and polishing. Wood floor cleaning waxing and buffing. Carpet Repairs: We can make any carpet repairs such as carpet stretching, patches, seams, and red stain removal to give your carpet a newer look again. Carpet Protection: After a good carpet cleaning you can request carpet protection that we apply to help repel future stains. Upholstery Cleaning: We clean almost any type of upholstery, including car seats, RV motor homes and travel trailers. 24 Hour Emergency Flood Service: 24 hour flood service is available to assist you in water extraction from your home or office. We have the drying equipment necessary to remove all moisture from the structure as quickly as possible. Family Owned and Operated Here in Granbury TX.